Aren't holiday movies one of the best parts of the season of merry?! Give me the blockbusters, the Lifetime cheeseball specials, the kid movies--- all while sitting on the floor wrapping my presents or having some sweet treats! Here are just a few of my favourites. My kids adore this one and it has enough adult humour to make me giggle as well! This is a must see for us and we talk about Buddy all the time. And how good is Zoey Deschanel's "Baby, it's cold outside"?! A day or two after Christmas is when we like to watch the Sound of Music and sing along to all.the.songs. SUCH a feel good, family movie. I wanted curtain dresses as a kid too! This has got to be D and my favourite adult Holiday movie. So many different characters, so many funny and poignant parts! What about you? Any favourites to recommend? Ah yes, love Actually. Best movie! 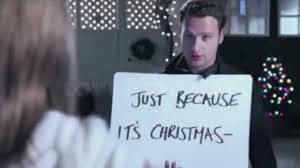 I need to watch love actually again this year, it has been a long time. Elf is definitely a favorite, along with Home Alone! I love the Family Stone. I'm not sure I've ever seen Love Actually. 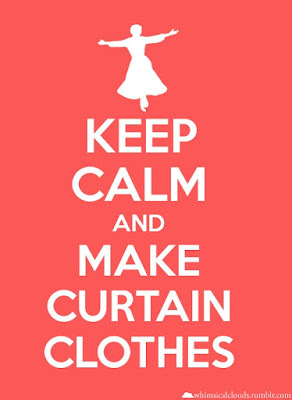 Now I need to. Love actually is so good and I feel like nothing gets you in the holiday spirit more than watching a cozy Christmas movie! We have been watching Elf and Home Alone 1&2 for weeks now- nothing better than holiday movies!! Oh I love the Sound of Music. I remember getting to stay up every year to watch it when it was on (no matter how late it ended!). I knew every song by heart. Yes to love actually! I just watched that at the gym, while running, hehe. 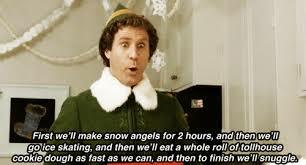 I've never seen Elf, but I need to! This seems to be on everyone's list. I've actually never seen all of the Sound of Music, but the other two are tops for me. I have such an itch to watch Love Actually today. Oh the Sound of Music! I have such great memories of watching that one but I really don't think I've watched with my kids..what the heck. Love Actually..gets me every time. I just love it so. Thanks for linking with us!! I honestly don't know if I've ever watched Sound of Music from start to finish.... I know, I know.... But Elf and Love Actually ON REPEAT! :) Thanks for linking! I love Elf and Love Actually is one of my Husband's favorite movies - such good ones!